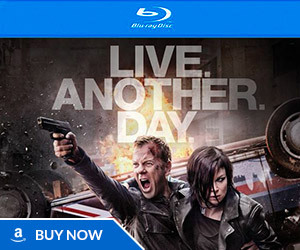 Jack and Kate are in a race against time to save the life of a key player tied to the imminent terror threat in this promo for 24: Live Another Day Episode 7. Also be sure to let us know what you thought about the sixth episode by voting in our poll. Next week’s episode is freakin’ awesome. Drone chasing car. Explosions galore. Lots of action. This is why 24 is one amazing roller coaster ride you’ll ever see on TV. psycho mom kill her daughter boyfriend and now her! Margot is making Dina Araz look like Mother of the Year at this point. so in other word Margot is a even crazier villain than Dina right? She’s like Navi with some Dina mannerisms and love for tea. Margot is in a class by herself! And Michele Fairley is superb in this role! She really is so excellent. Especially when you consider how hard this character is to play with any authenticity and how easily it could go too far over and become campy. She just owns it and come across as committed, believable and even principled I her own twisted way. Totally agree. 24 has the best casting. They always pick just the right people. So did LOST whose casting I still prefer. She is probably toe-to-toe with Nina Myers and Dana Walsh (that’s my opinion since most people hated her in season 8) as best female villain on 24 thus far. Acompanho todas as séries ! Um super profissional , e estou muito ansiosa para assistir este mais novo trabalho. Parabenizo todas pessoas que fizeram parte desta Equipe Sensacional. All in just 6 hours! I fully expect next week’s episode of 24 to be absolutely phenomenal. The drone chasing Jack’s car scene looks to be totally amazing. There will be a lot of action, several explosions and many more great scenes during next week’s episode. 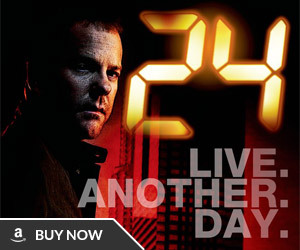 This has been a truly spectacular season of 24 so far. I wouldn’t be surprised if Simone kills her mother Margot very late in the season. If anyone kills Margot, Simone might be the most likely candidate to actually do it. Starting with next week’s episode, I expect Simone to start having pure hatred for her mother once she realizes that her mother is trying to kill her with the drone strike. Michelle Fairley has portrayed the Margot Al-Harazi character brilliantly and convincingly. Margot is a great and convincing villain. She’s a ridiculously good actress. One of the best the show’s ever had, IMO. Woooo! Next week can’t come any sooner. Yup agree, Michelle Fairley is playing her role brilliantly. This whole drone story is going to give way to a wild ending. The Russians are coming. the Russians are coming. Bloody hell!!! That car flipping 30ft in the air is insane :D Cant wait. For sure. It would appear Simones brother is not as good a shot with those Hellfires as he thinks he is. I know Jack won’t get killed so they have to make him miss that much, but this is where it gets a little funky because we know that all 3 of them would be toast with that drone chasing them, but alas Jack is driving and Kate is rolling as shotgun, not to mention Simone is pissed…no tellin’ what she’s gonna pull, and oh yes, let’s not forget B. Bratt’s character is turning out to be a full blown traitor. Just keeps getting better. No romance in this one. See ya all next week! Todo espectacular!!!! Pasan los minutos y la atmósfera esta más candente!!! Inigualable!!! Gracias por volver!!!! This show is so awsome how can they even think about taking it off? How can you even think of taking this off. dammmmmm good!!!!!!!! wow, looks brilliant. I think next week’s episode will be even brilliant with many explosions. can’t wait !! So Simone doesn’t die in the hospital but she could be killed of in that car explosion? 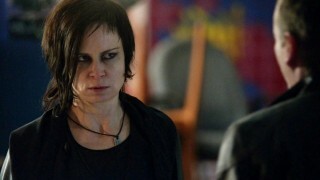 A cat-and-mouse game between Jack Bauer and Margot Al-Harazi. It should be interesting, but I just hope it won’t turn too gimmicky or cliché. 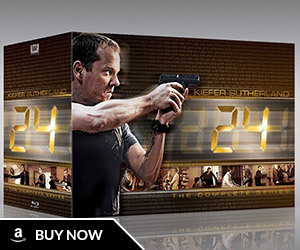 24 yeahh, thanks for coming back bauer, but we really need another season with 24 episodes at least the last one.